Posted on January 19, 2018 at 12:03 pm. Looking for free spins this January? Head to Dunder Casino where you can claim bonus spins to use on some of the most popular online slot games. If you’re a registered player at Dunder, make a real money deposit on January 21st and you’ll be rewarded with 30 free spins to use on NetEnt’s famous slot, Gonzo’s Quest. Players from Canada will get their free spins to use on Cloud Quest instead. Make a real money deposit on January 23rd and you’ll get 30 free spins to use on Vikings Go Berzerk (available to all eligible players excluding Ireland). New to Dunder? Sign up now and you claim the awesome new player welcome bonus that rewards new players with up to $600 in matched deposit bonuses and 200 free spins upon registration. Terms and conditions apply, including wagering requirements and expiry dates. 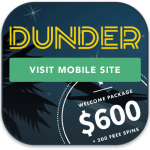 Head to Dunder.com to read the fine print of the free spins and welcome offer before handing over any real money. Dunder is an instant-play casino site, so no downloads are needed, and also offers the option of free play, so you can sample games in practice mode before laying down a real money bet. Take these games for a spin in demo mode and see which ones are up your alley before wagering any cash of your own. 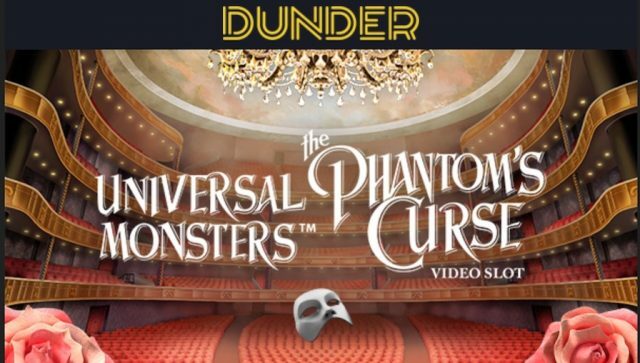 Read more about Dunder Casino and the gaming software, deposit methods and sign-up bonuses available in our detailed Dunder review.